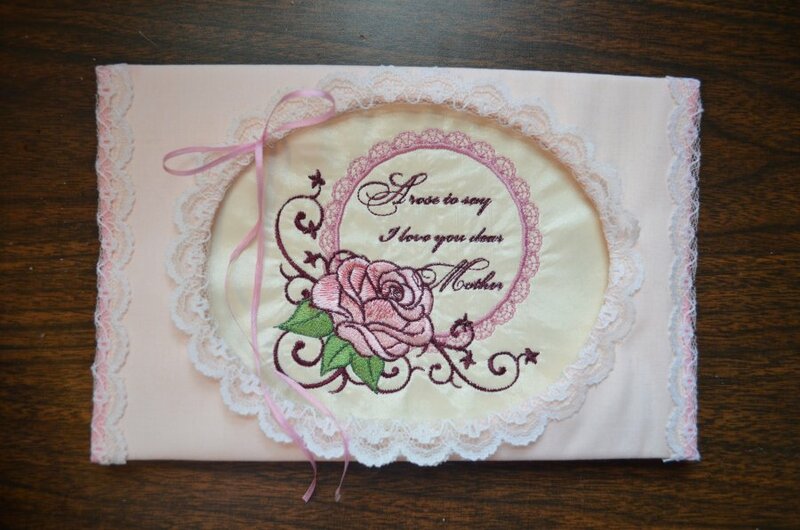 The crew at EmbroideryDesigns.com would like to wish our customers a very special Mother’s Day, whether you’re a Mom or you simply love one! To commemorate the day and kick off this blog, I am offering you my latest project. It takes a little time, so it’s a bit late for 2013, but this 3-fold fabric embroidery card is perfect for any occasion to frame your favorite design and can be accomplished with scraps of trims and fabric found in most any stitch and craft stash. 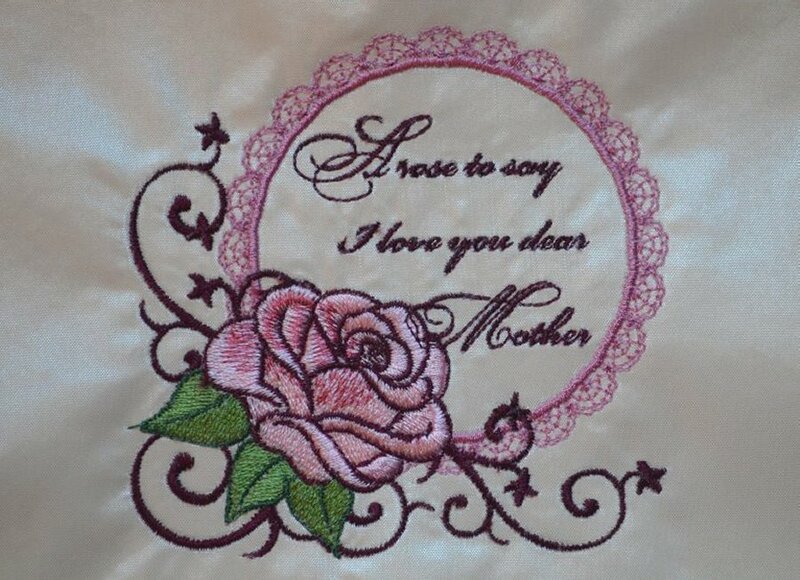 Design AFCA168 Mother’s Day Embroidery Design by Ann the Gran or other design to fit within 4.5” high and 7.75” wide oval. Step 1: Sew the design. I decreased the size of the design just slightly to fit the 4 x 4” hoop. I used 1 sheet of tear-away with a piece of light cotton yellow fabric for the stabilizer because the sateen-like fabric I had was a little sheer. I used a burgundy instead of the mauve that is recommended in the thread color chart. I also used a dark pink instead of the recommended light red for the shadow of the rose. Step 2: Cut out oval. 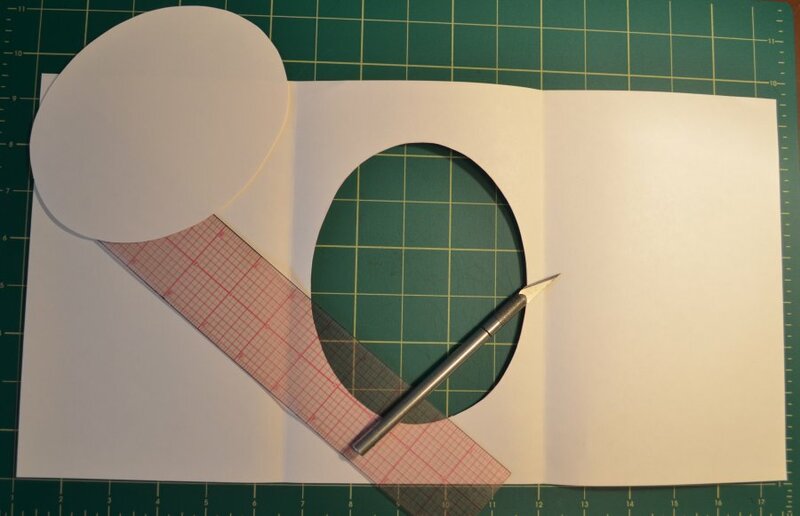 Step 2: Cut an oval out of the center panel of the card stock about 4.5” high and 7.75” wide. Optional: make your own card stock from 1 sheet of construction paper 16.5″ x 8.5″. Step 3: Trim excess fabric. Step 3: Measure, mark and trim away the excess fabric from the sew-out. Then, set the sew-out into the panel to check if it will sit properly when done. Step 4: Finger press hem. Step 4: Fold in the first panel and place the open card on top of the pink fabric with equal amounts (about 1″) of fabric on each side. 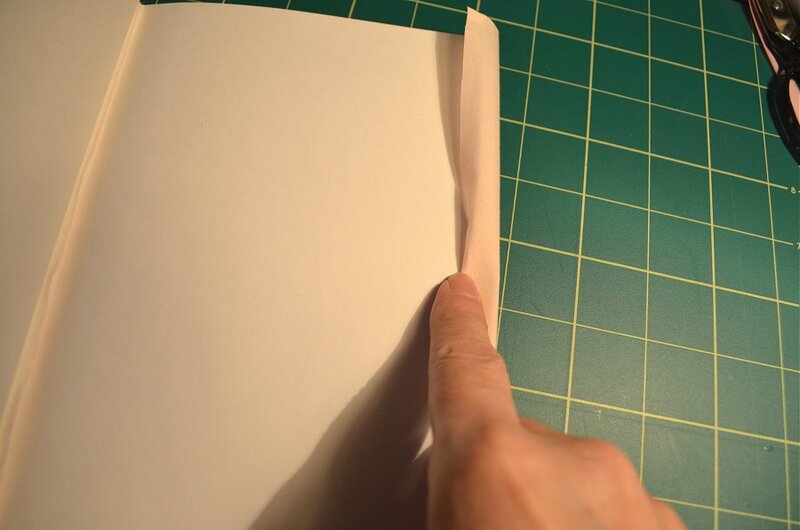 Finger press a hem along each side and iron for a better crease. Step 5: Cut oval in cover fabric. Step 5: Using the open oval as a template, mark an oval on the pink fabric around the edge of the cut-out and another oval to the inside about .25”. Cut along the inside oval and remove inside scrap. Cut triangle notches at the cut edge, stopping just before the inside marked oval, and press the fabric back with iron. 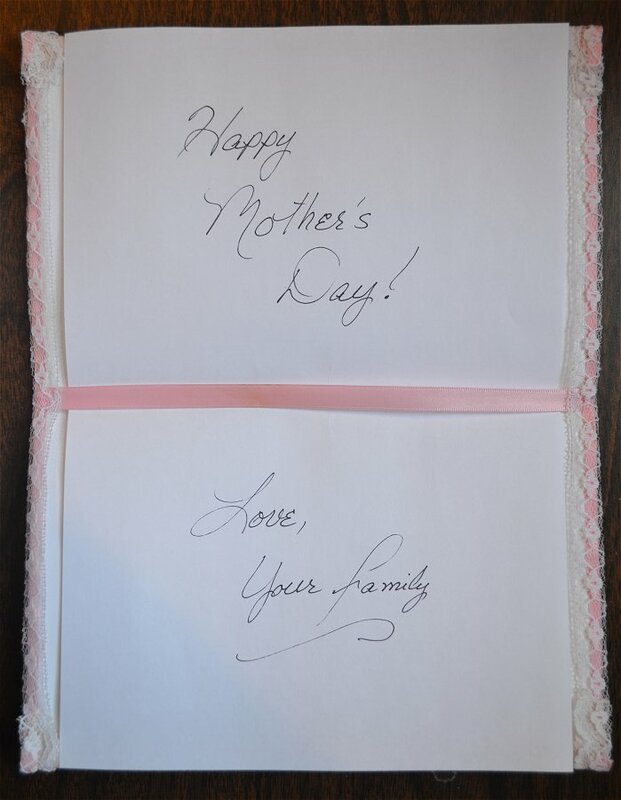 Set in card and use small strips of tape to hold down the fabric tabs against the inside of the card. 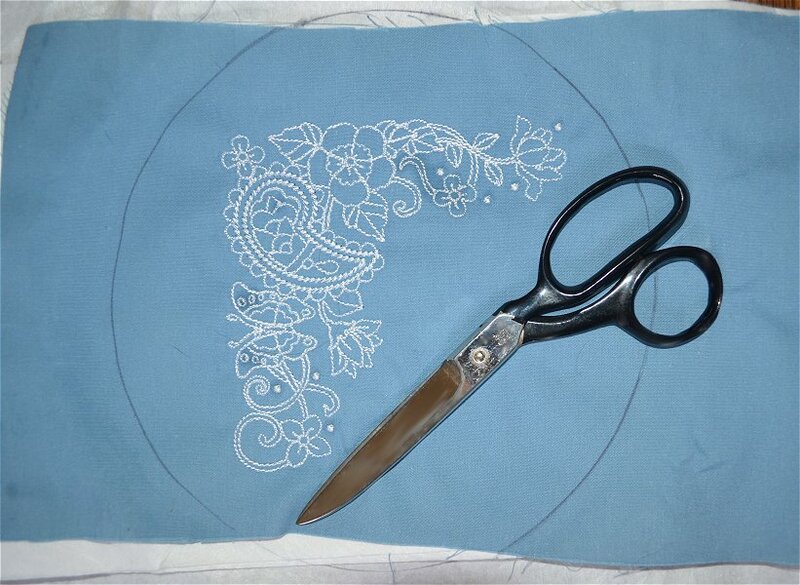 Step 6: Place lace trim around oval. Step 6: Use a bit of glue under the side hems to adhere them to the inside of the card; use small binder clips until glue dries. 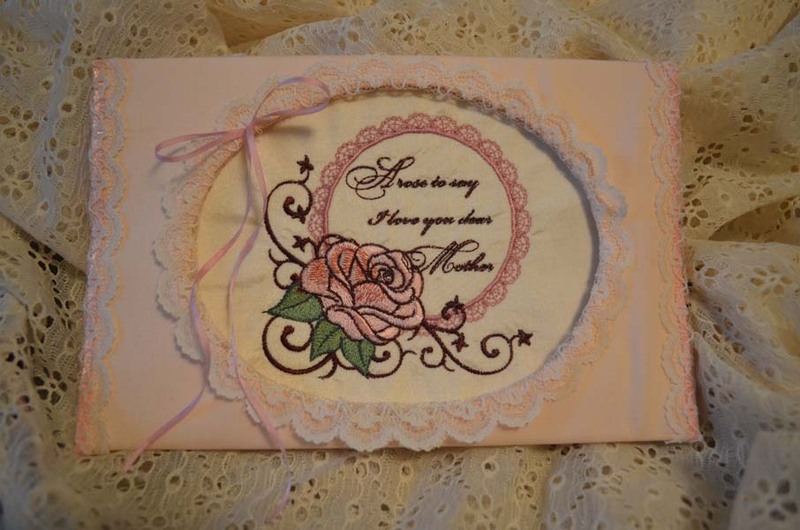 Press the 20” lace trim along its length in half and place around the edge of the oval covering both the card and the pink fabric; hold in place with paper clips. 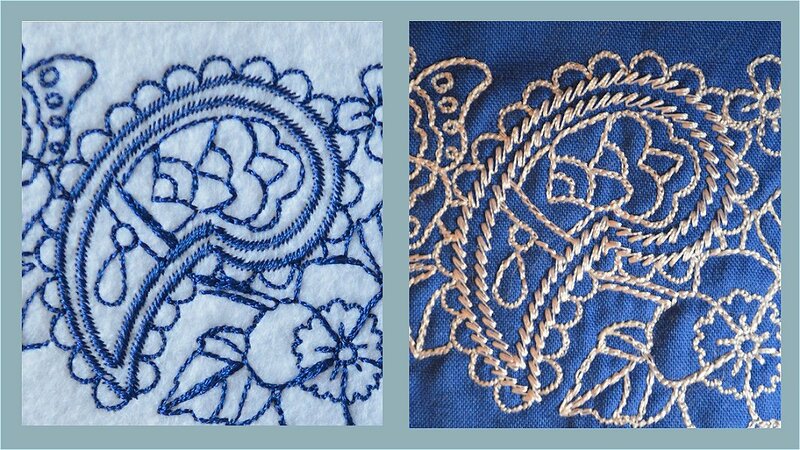 Clip the outside edge of the lace on the inside of the card to release stress; tape to inside of card, overlapping the lace ends neatly. Step 7: Attach center ribbon. Step 7: Place sample inside the oval and use small strips of scotch tape to secure the opening at each side along the inside center fold. 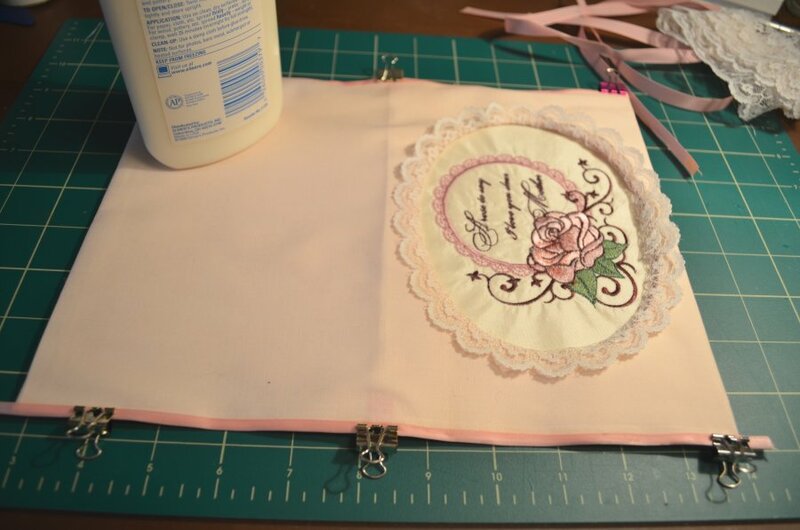 Lay the 9.5” length of 10 MM wide pink ribbon along the inside center fold. Tuck in the ends on each side and secure with Scotch tape. Step 8: Seal edges of card to fabric. Step 8: Press the 2 pink ribbons of 10 MM wide along the length; fold one over each side to cover both the pink fabric and the card, using a little glue to adhere the ribbon and close the sides; use binder clips to clamp until glue dries. 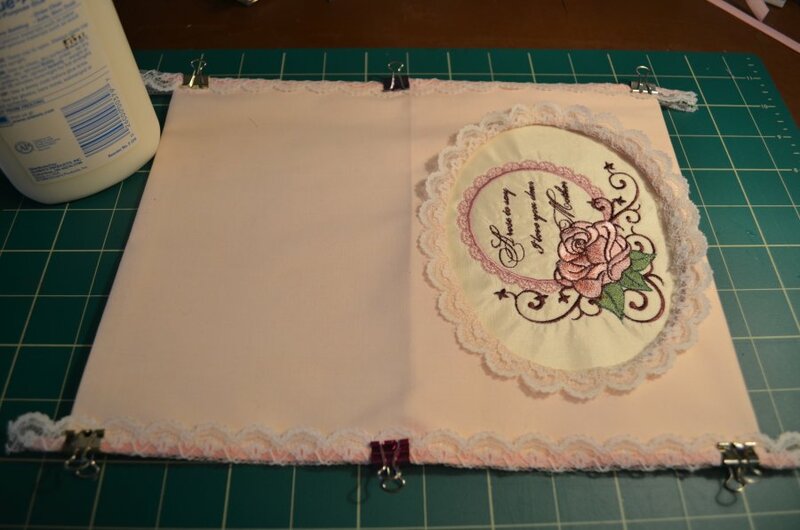 Optional: Use any matching binding you have on hand instead of ribbon. 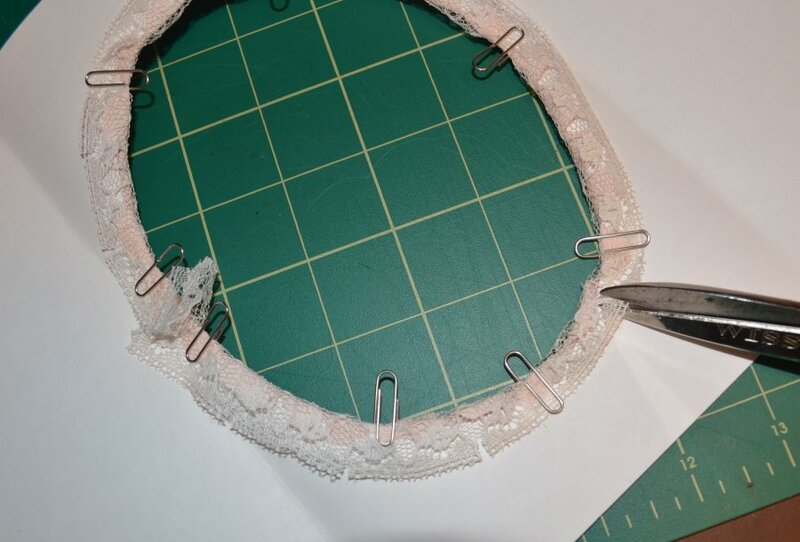 Step 9: Place lace trim along edges and hold in place with binder clips. Step 9: Press the remaining strands of lace trim in half along the length and clamp with binder clips to each side leaving an equal excess at each side. 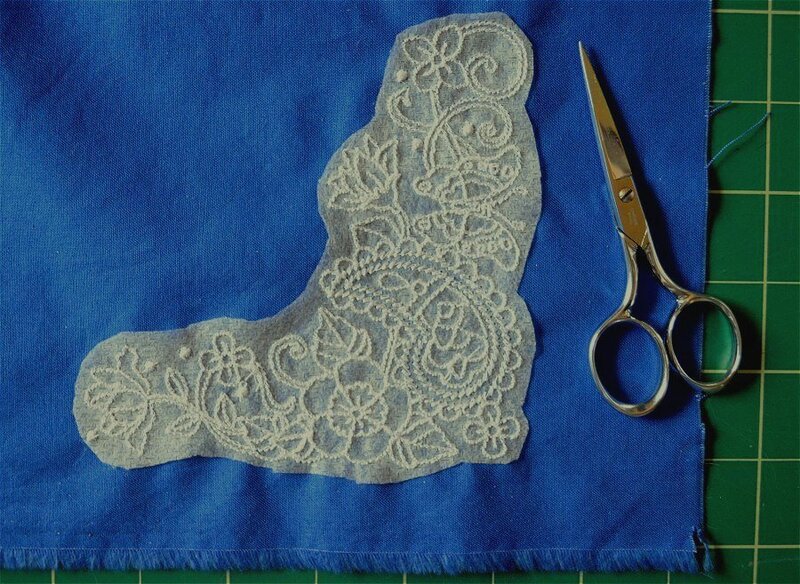 Step 10: Attach lace trim to edges. 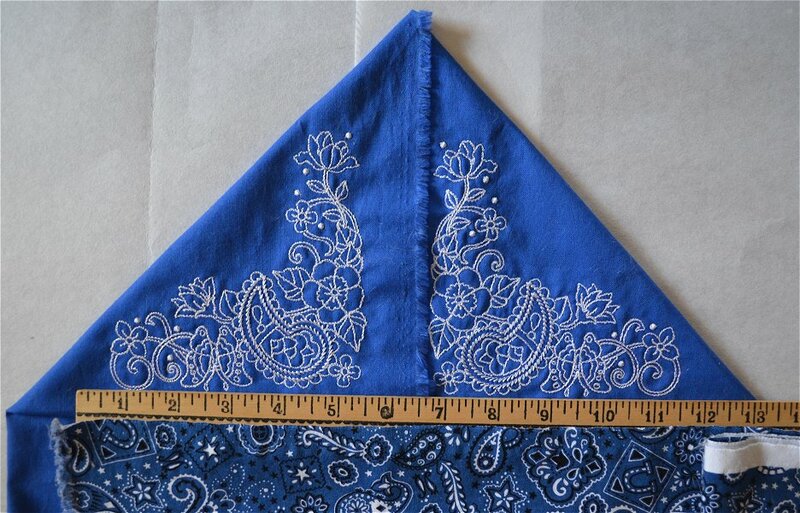 Step 10: With needle and thread, baste the lace to the outside of the card, concealing the thread below the fabric, and tack with small stitches against the lace about 1″ apart. Tack to the ends of the ribbon that lays along the center fold. 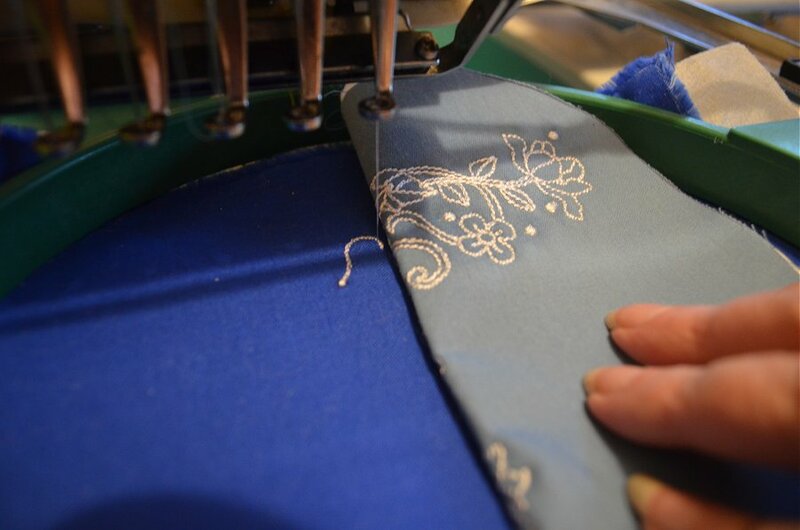 Fold the excess ends of the lace and ribbon that covers the edges to the inside and tack in place. Step 10: Write and attach your message. Step 10: Print or write your message on a separate piece of paper or stationary; cut to fit the card, about 11 x 7.5”, and slip through the ribbon along the fold. Step 11: Stitch a bow to the front of the card. Step 11: Tie a bow in the strand of 2 MM wide pink ribbon and stitch in place at the top of the oval. Optional: Decorate with beads or gems. Step 12: Deliver your card! 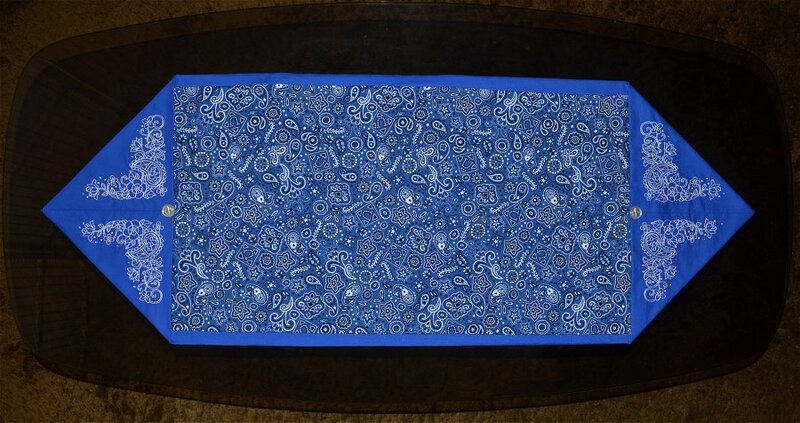 Very often a decorated fabric card will not fit inside its envelope, but an inexpensive, gift box found in the gift wrap department, lined with tissue, usually works well. 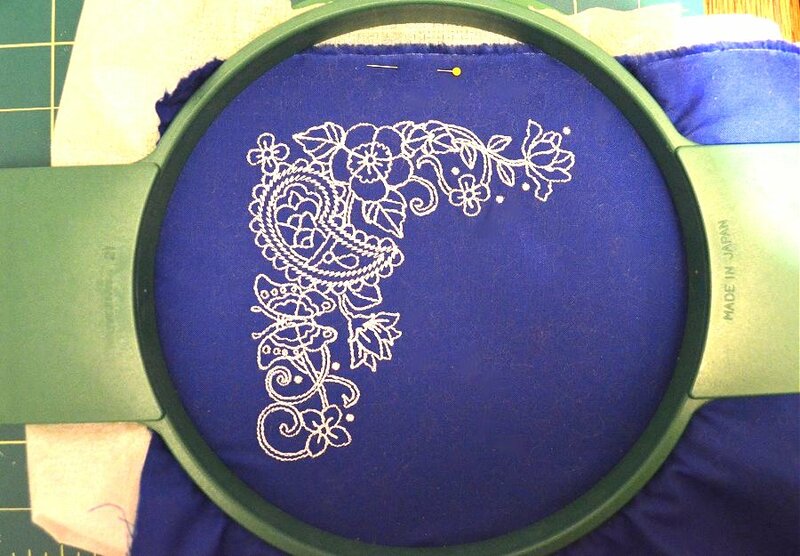 This project will soon be found among those in our Projects at EmbroideryDesigns.com. 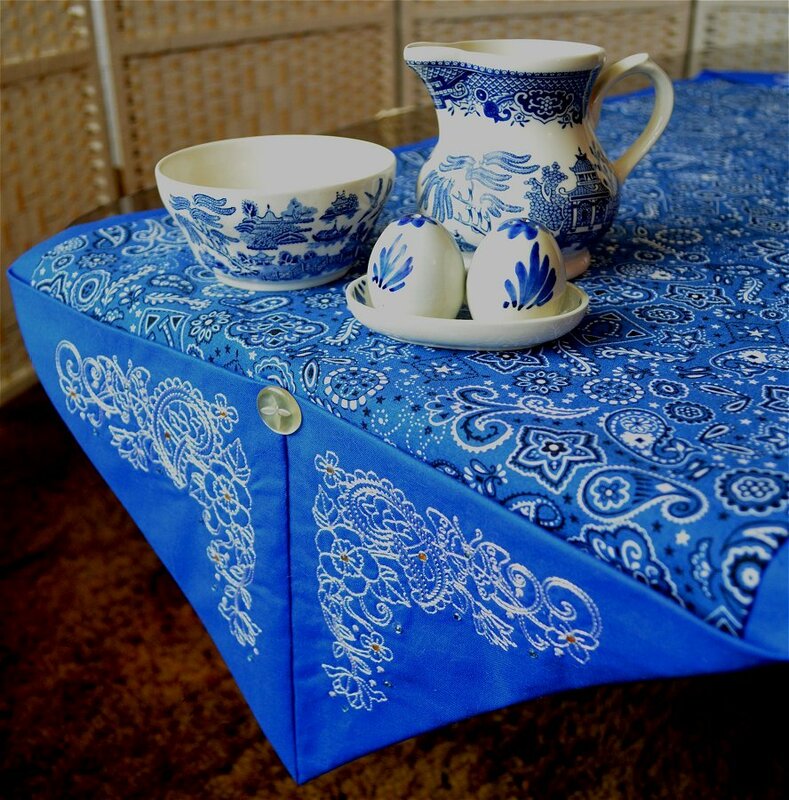 Watch for more projects to be introduced at this blog, as well as tricks and tips to help you put good use to your collection of machine embroidery designs. And remember, your questions and comments are always welcome!